BD: To me a sustainable Cobourg means protecting our tree canopy and planting more when ever possible, protecting our waterways from pollution and erosion and maintaining our parks. As a Councillor I would bring these issues to the forefront each time a new development is proposed. BD: As for your other questions, I feel it would be irresponsible of me to try and answer those questions at this time. I would have to do a lot more research into the subjects before I could give you a viable answer to them. I am sure these questions and many others pertaining to sustainability will come before Council during the next term. 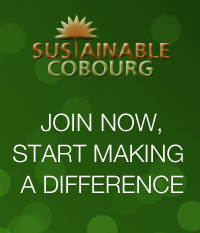 BD: I would advocate for “active transportation” and I did sign the pledge to support active transportation in Cobourg.